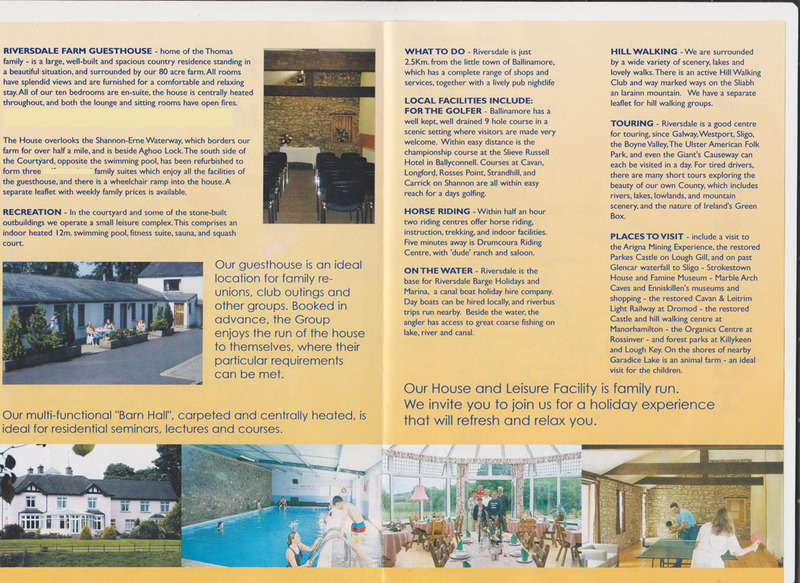 Here in Leitrim, there's plenty on offer for every type of holiday maker. Lough Key has for many centuries drawn people to its spectacular views, abundant wildlife, historic buildings and evocative islands. This beautiful landscape is steeped in a rich history. Now after major development the historic backdrop encompasses a landmark cluster of unique attractions serving the needs of a 21st century visitor with a new lakeside centre providing an ideal gateway for gentle leisurely activities or more energetic pursuits in the Park. In the hill country of North Roscommon, Arigna is situated in a picturesque valley with breathtaking scenery and an unspoiled landscape. Mining was carried out in Arigna for 400 years until 1990 when the mines finally closed. The work of a miner was exhausting and often hazardous, with working conditions that were very harsh and cramped. 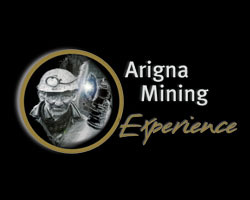 Experience this for yourself at Arigna Mining Museum. Walk underground through what was the last working mine in Arigna and see how the coal was mined. Take a journey through a part of our national history which you have only ever been able to read about until now. 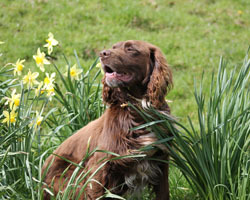 School Tours and Group Bookings catered for. A Miracle of nature - At the foothills of Cuilcagh Mountain an incredible subterranean world awaits. 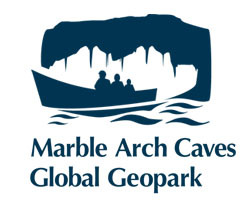 Experience the beauty and brilliance of nature with a visit to the Marble Arch Caves. 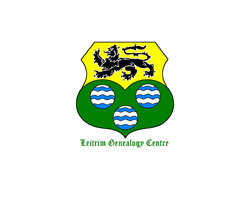 Leitrim Genealogy Centre was set up in 1986 to deal with enquiries from people who wished to trace their Leitrim ancestry. We are the official genealogy service for County Leitrim, are part of the Irish Family History Foundation's network of Centres throughout Ireland and we provide a full time professional genealogy service for County Leitrim. 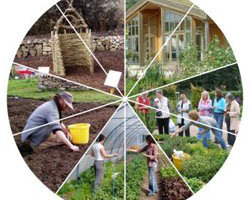 The demonstration gardens which contain a heritage garden, a children's garden, a taste garden, a willow sculpture area, geese, ducks, hens, Kerry cows and many other attractions which have become a major visitor attraction in the North West. There are plenty of locations in the area where you can go horse riding so what not relax and travel around the countryside on horseback. Within half an hour two riding centres offer riding, instruction, trekking and indoor facilities. Five minutes away is Drumcoura City Western Riding Centre with "dude" ranch and saloon. 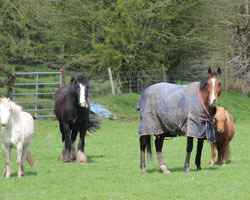 There are a number of other horse riding facilities in the area. The story of the railway is also one of this little known part of Ireland and its people. 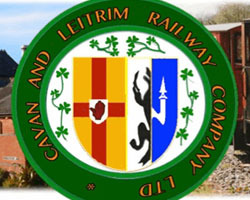 Locals were very devoted to the Cavan & Leitrim Railway. It was their devotion, which enabled the line to cope successfully with coal traffic. Today this magnificently restored narrow gauge railway offers the visitor a chance to experience the age of steam transport. The railway brings you back through time to an era when our ancestors travelled through the unspoiled landscapes of Leitrim. An extensive collection of steam, diesel trains, rolling stock and vintage buses allow you to trace the history of the Irish narrow gauge railway system. 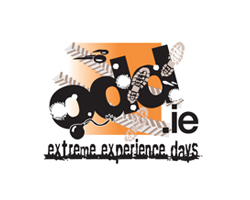 We are Out-Doors & Dirty, a dedicated Extreme Experience Park for adult entertainment (plus stuff for uber-cool kids from 10 +). Try Rage buggy racing, Powerturn Dragsters, Clay Shooting, and Hovercraft Racing on Ireland's only wild water lake and grass course. 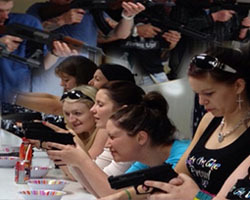 Add paintball, laser combat, KMX karts, archery plus 'alternative' team building challenges, and you're spoilt for choice. We're located near Ballyconnell in west Cavan; ideal for party town Carrick on Shannon, and only 90 minutes' drive from Dublin or Belfast. So for Odd Days Out and 'Dirty' Weekends, we're definitely the people to call! 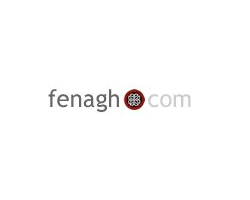 Fenagh is steeped in history. From our two abbeys to the various and very significant archaeological sites in the surrounding fields. Explanations, descriptions and maps can be viewed in the Heritage Centre. 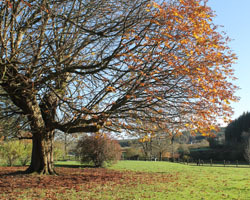 Come along and view our wonderful photographs which capture and depict these local treasures beautifully and take a walk around the village to visit some of these historic sites. King House is a magnificently restored Georgian Mansion located in Boyle, County Roscommon. 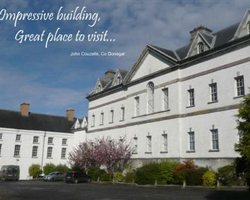 It was built in the early 1700’s for Sir Henry King, whose family were one of the most powerful and wealthy in Ireland. 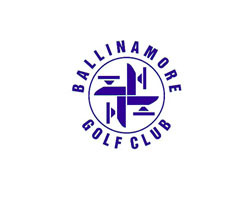 If fishing is your sport, Ballinamore is one of the best developed angling centres in Ireland located in one of the 'big catch' Lakeland districts. 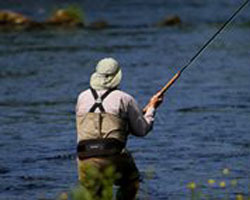 Ballinamore is internationally renowned for its abundance of coarse angling waters. Being in the centre of Leitrim's lakeland district there are a minimum of 40 lakes within a 10km radius of the town.Most of the waters can be fished from the shore, however for those who wish to explore further, boats are available locally for hire, for the angler who like canal fishing, we now have the new beautifully restored Canal. Aghacashel is situated between Drumshanbo and Ballinamore (N3 to Ballinamore, N4 to Carrick on Shannon) on the Sliabh – an – Iarainn Mountain, the beautiful rugged mountain in County Leitrim, which ascends 585m from the eastern shore of Lough Allen. Walkers will stand in awe at the breathtaking panoramic views over the West and Midlands of Ireland, or wonder at the amount and variety of flora and fauna encountered – foxes, hares, rabbits, badgers, ravens and Peregrine Falcons. 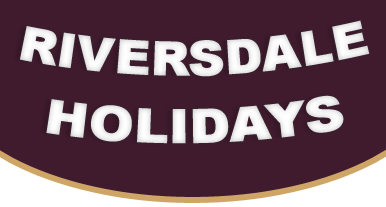 Riversdale is a good centre for touring, since Galway, Westport, Sligo, Clonmacnoise, the Boyne Valley, the Ulster American Folk Park and even the Giant's Causeway are all easily visited in a day. 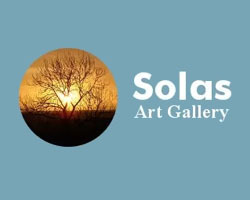 The Solas Art Gallery is an artist led gallery space in Ballinamore, Co. Leitrim. The Gallery is an initiative between Leitrim County Council Arts Office and the Ballinamore Community Arts Group and opened its doors on 20th July 2007. The Gallery is funded by Leitrim County Council Arts Office and The Arts Council. A new state of the art Bowling Centre and indoor adventure playground for children. 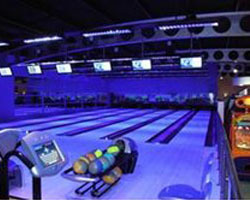 The Centre consists of multiple lanes of ten pin bowling and a unique castle-themed, multi-levelled play centre. Located within walking distance of the town centre, and in close proximity to the cinema, the Centre is an ideal place for families or groups to spend some enjoyable time. The Bowling Centre is fully wheelchair accessible, ball ramps and small sized balls are available. A large selection of drinks and snacks is also available. 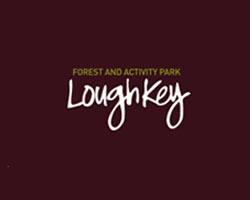 Lough Allen Adventure Centre is situated between Sliabh An Iarainn and the eastern shore of Lough Allen, great for hillwalking or as a venue for kayaking, open boating or windsurfing. 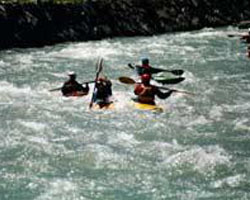 Have a water session under instruction or use our open boat hire service to explore the lake and adjoining waterways. Hillwalking, mountain and survival skills, archery, swimming, white water kayaking (both sea and white water) are on offer with fully qualified, experienced and friendly instructors.